When most people think about insurance, they think of protecting themselves from some sort of calamity, like an auto accident or house fire. 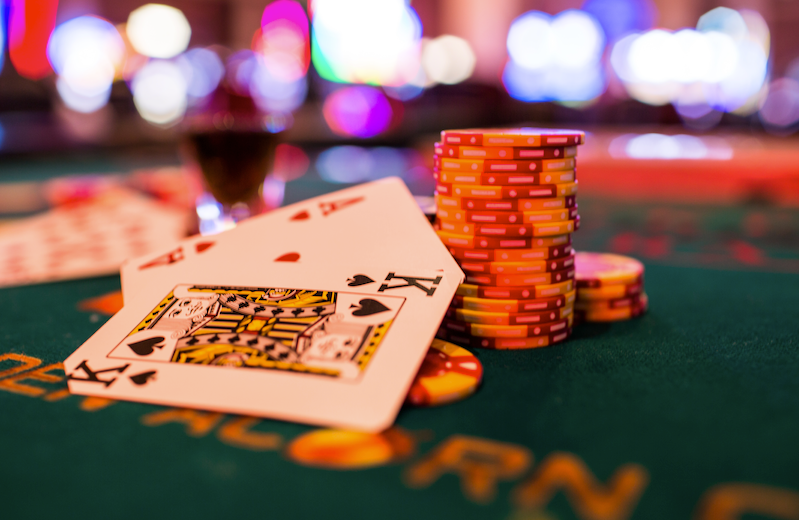 So when you hear the phrase “BlackJack insurance,” you might assume it’s something you pay to prevent losing your bankroll at a casino BlackJack table. Actually, that assumption is only partially correct—BlackJack insurance can mitigate your losses, if luck is on your side. To clear up misconceptions about BlackJack insurance, read on for a quick overview and advice about when to take advantage of this unique “insurance policy,” and when to pass. BlackJack insurance is not insurance in the traditional sense—it’s more of a side bet to lessen your loss in the event the dealer gets a BlackJack and you don’t. The insurance offers a 2:1 payout, and the bet minimum is half of your stake in the game, so if you started the hand with a $10 bet, insurance will cost $5. When is BlackJack insurance offered? Whenever the dealer’s first upcard is an Ace, players will be offered the insurance bet. If the dealer’s next upcard is a 10, Jack, Queen, or King, the dealer wins the hand and you get an insurance payout. Does insurance affect your initial stake? BlackJack insurance is a separate bet, which you can win even if you lose your hand. If you also get BlackJack, tying with the dealer, you will win back your initial stake along with the insurance payout. What are the odds of winning an insurance payout? Math comes in handy when playing table games like BlackJack, and it can help you determine whether to take the insurance bet or not. There are four cards in each suit with a value of 10 (10, Jack, Queen, and King), and nine numbered cards, so the odds of getting a BlackJack after pulling an Ace are not in the dealer’s favor. Specifically, the odds are 9:4 against. When should you take the BlackJack insurance bet? In general, insurance favors the BlackJack casino, but as with all gambling, there’s nothing wrong with taking a chance if it feels right. Being observant can help you estimate the dealer’s chances of following a 10-card with an ace. Has it been a while since you saw a face card or 10 come up? If so, making a modest insurance bet might pan out in your favor. It’s important to note that being observant is not the same thing as card counting, which is severely frowned upon and can get you kicked out of a casino. Where can you learn how to play BlackJack? If you need to brush up on your BlackJack skills before considering whether you want to take an insurance bet, most casino dealers are more than happy to help as long as it’s not during a busy period. You can also play some free online BlackJack games to polish your skills before heading to the casino. If you want to dabble in the thrilling world of casino BlackJack, stop by one of the dozens of BlackJack tables at Golden Acorn Casino. We also offer Texas Hold ‘Em Poker and hundreds of exciting slot machines, and we’re conveniently located right off the I-8 about an hour from downtown San Diego. Come play with us today! To learn more give us a call at (619) 938-6000 or stop in for a visit!